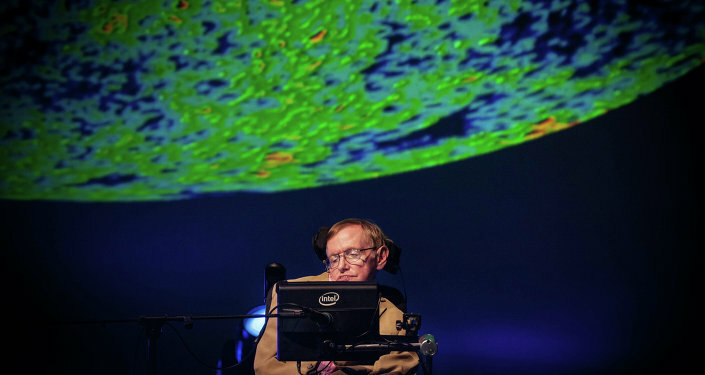 Colleagues of the renowned physicist, who spent most of his life in a wheelchair, have revealed the science popularizer’s final academic paper, in which he shares the exact mathematical data to be used by spacecraft in search for so-called "multiple big bangs." The paper, titled "A Smooth Exit from Eternal Inflation," may appear to be the most ground-breaking in Hawking’s overall scientific legacy. — Bloomberg View (@BV) 14 марта 2018 г. As early as 1983, Hawking came up with a "no-boundary" theory which assumed that the universe came into being after the big bang occurred. It was presumably accompanied by an array of smaller explosions, leading to a wealth of worlds featuring their own natural laws, Hawking posited. The theory, however, hit a roadblock, as it rendered it impossible to measure such a "multiverse." In view of the most recent update, these calculations are now possible. What is most important about the message put forward in the publication is that the multiverse has presumably cast an imprint on the background radiation penetrating our universe and this is measurable with a special detector put on a spaceship, Carlos Frenk, professor of cosmology at Durham University, told The Sunday Times. — Newsweek (@Newsweek) 19 марта 2018 г. Despite his last work being promising indeed, it also states that the long-term prospect does not look that bright, as the universe is expected to fall back into oblivion once there is no stellar energy left. One of the late Stephen Hawking's widely accepted theories is that black holes are not black. — heed_worthy (@heed_worthy) 18 марта 2018 г.
Stephen Hawking died on March 14, aged 76, having suffered from a rare motor-neurone disease since his early twenties.